The National Research and Education Network (NREN) is an essential collective of infrastructure, tools, and people that bolsters Canadian leadership in research, education and innovation. CANARIE and twelve provincial and territorial partners form Canada’s NREN. We connect Canada’s researchers, educators, and innovators to each other and to data, technology and colleagues around the world. As the Ontario partner in Canada’s NREN, ORION connects over 2 million of Ontario’s students, educators and researchers to their peers nationally and around the world. If you are connected to ORION’s research and education network in Ontario, you’re already connected to the NREN. If you’d like to connect, talk to one of our account representatives to customize a solution for you at 416.507.9860 or bizdev@orion.on.ca. BCNET is a not-for-profit, shared information technology services organization that represents the interests of our members — colleges, universities and research institutes in British Columbia. We continuously engage with our members to explore, evaluate and develop solutions that meet their unique needs. Our aim is to build value through collaboration, drive down costs, maximize efficiencies and further the mission of our members. 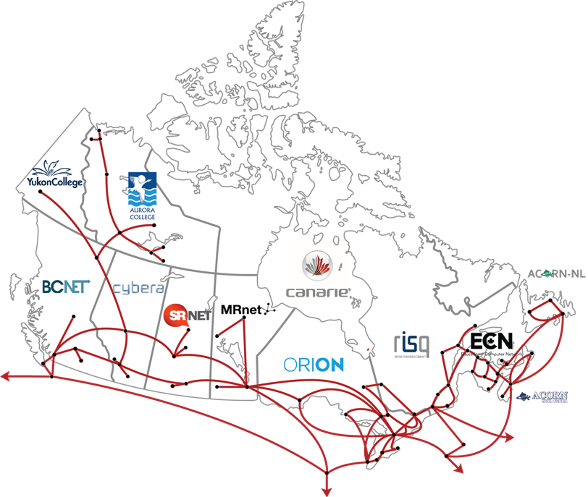 CANARIE is the federal partner in Canada’s National Research and Education Network, providing inter-provincial and international connectivity. Beyond the network, CANARIE funds and promotes reusable research software tools and national research data management initiatives to accelerate discovery, provides identity management services to the academic community, and offers advanced networking and cloud resources to boost commercialization in Canada’s technology sector. Cybera is a not-for-profit technology-neutral organization responsible for driving Alberta’s economic growth through the use of digital technology. Its core role is to oversee the development and operations of Alberta’s cyber-infrastructure — the advanced system of networks and computers that keeps government, educational institutions, not-for-profits, and the business incubators at the forefront of technological change. MRnet is Manitoba’s Regional Advanced Research and Education Network. MRnet provides a very-high-speed, fiber optic network linking its research and education members to the world’s R&E networks. The MRnet network supports research, education and advanced application development among Manitoba’s research, education and industry organizations. As a not-for-profit organization, the Quebec Scientific Information Network (RISQ) is a private telecommunications network that has served the education sector in Quebec since 1989. 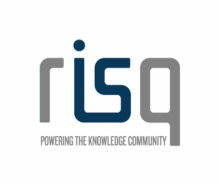 RISQ’s network covers approximately 6,000 km and reaches about 750,000 students, teachers and staff. It provides members with shared resources and services, and also acts as an information, coordination and expertise forum. SRnet (Saskatchewan Research Network Inc.) is a not-for-profit research and education network, the Saskatchewan member of Canada’s advanced network alliance. SRnet provides dedicated institutions and companies across Saskatchewan that use it for their research and education activities. Yukon College provides a vital link between students and researchers in the Yukon and national and international education and research networks. The Yukon Research Centre at Yukon College facilitates education opportunities for communities, encourages collaboration with First Nations, and also enables Yukoners to share their diverse cultural and environmental research with the world.